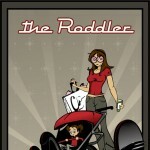 We’ve seen how the famous and the stylish ones go for a designer thing when it comes to their babies. 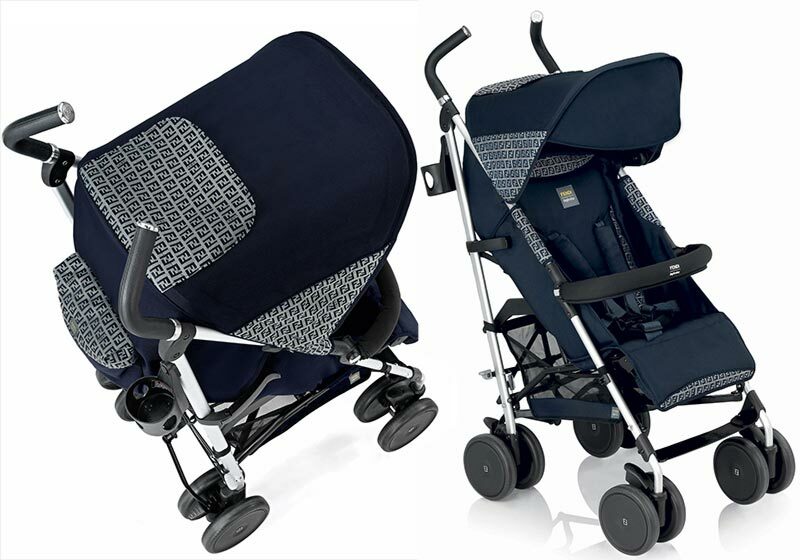 Yeah, I’m talking about those Missoni Strollers? 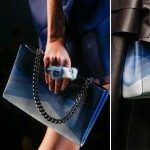 Soooo fashionable! 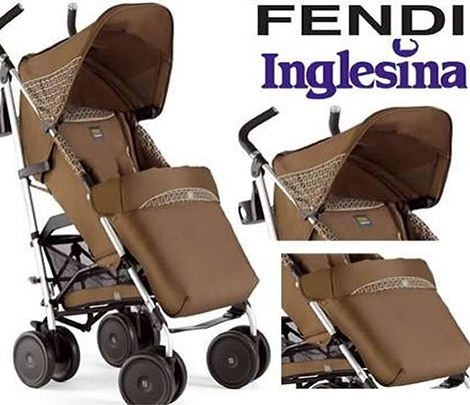 Rumor has it there’s going to be some serious competition for Missoni’s Bugaboos soon: Fendi has teamed up with Inglesina, an Italian baby products label. 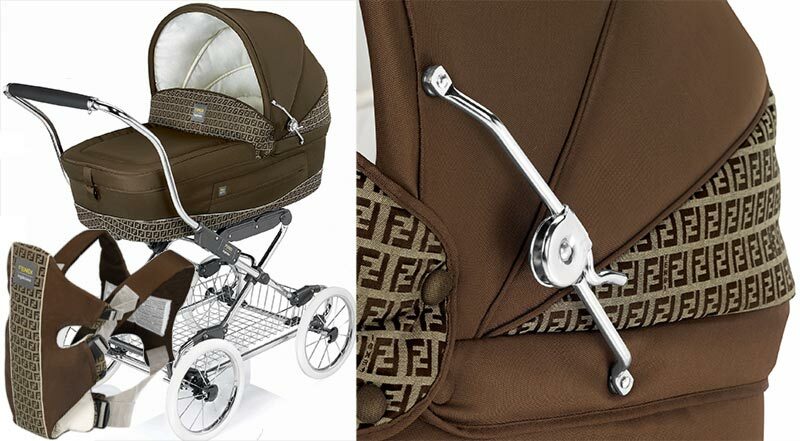 Together they created a baby carrier, a stroller and a pram, all in cream, mahogany, blue with Fendi’s F logo all around. 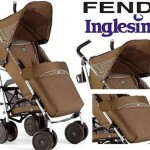 Should you feel that the Fendi Inglesina is the right stroller for you, don’t miss it! 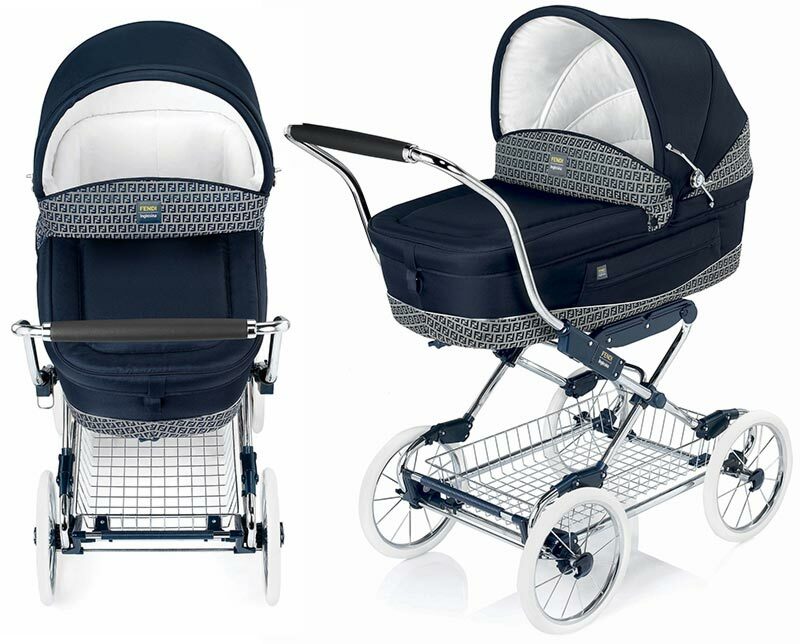 Also check out more Inglesina options for your wee precious one! 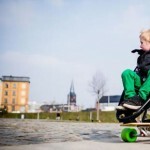 The strollers come with genuine leather handles and suspension-equipped wheels. 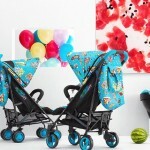 The umbrella folding system and the 4-position reclining back make this stroller suitable from birth. It lso comes with cup holder built in chassis, a standard rain cover and a storage basket holding up to 3kg. The hood has a window to look at your precious one while out and about, a flap and storage pocket for quick access. 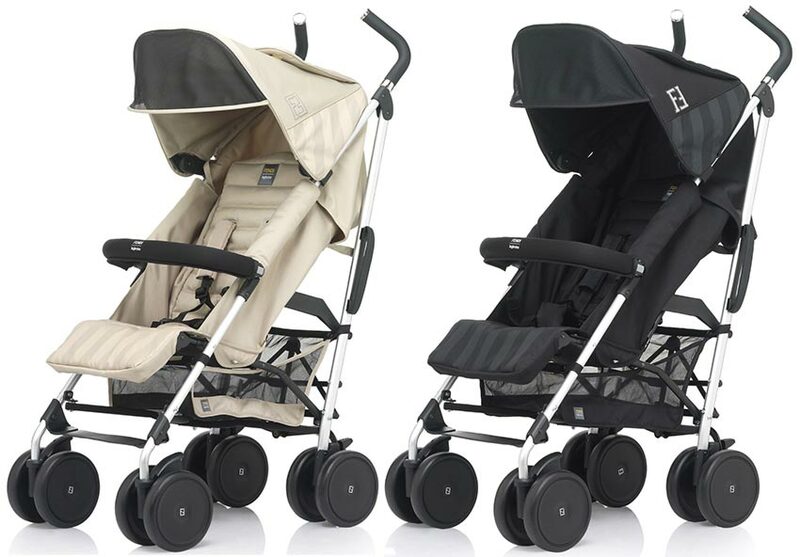 The strollers are available in more finishes, all with the double FF Fendi logo: charcoal grey and butter cream are the newest, featuring the legendary Fendi Pequin motif fabric. 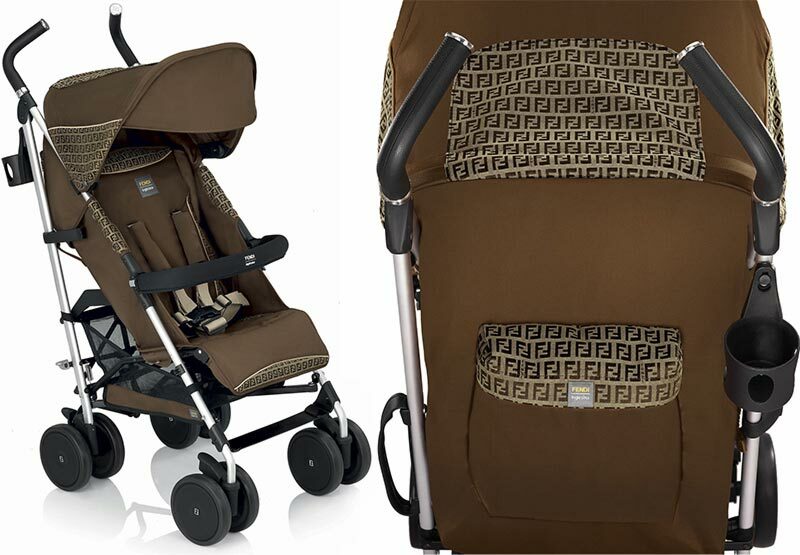 Navy blue and canvas brown are available as strollers and as carrycoats as well. Baby carriers are also part of the collection, also featuring the same double FF logo fabric print and the same colors as the strollers. The collaboration is a purely Italian made as both brands are legendary Italian brands and they’re set to celebrate their Latin heritage with every new collection.